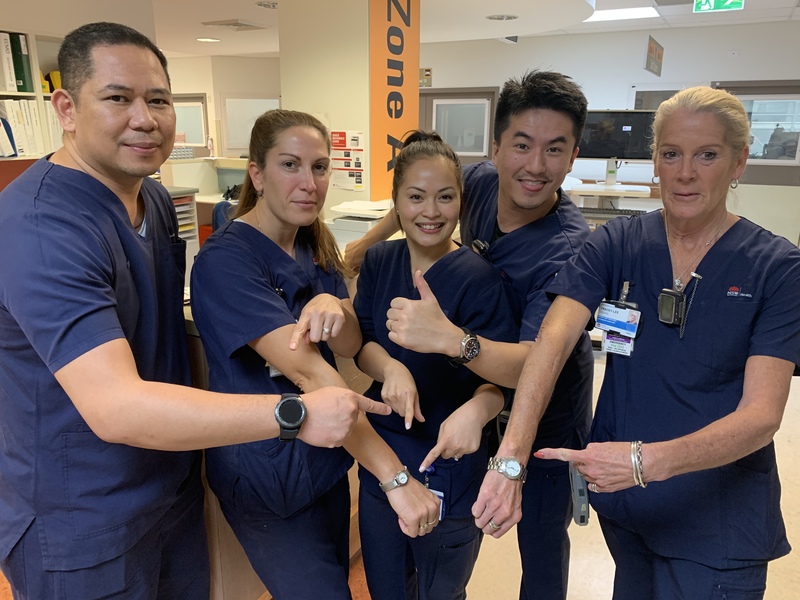 Jennel, Jess, Christy, Keith and Tracy from Westmead Hospital’s Intensive Care Unit are reminding everyone to change their clocks this weekend. Last Sunday 7 April at 3am, clocks went go back one hour, making the end of daylight saving. Daylight saving is a good time to replace your smoke alarm batteries. The seasonal change also serves as a good reminder to get your flu shot. You can find more information about the influenza vaccine here.